Losing ground in Iraq and Syria, the Daesh militants known as ISIS-K has extended its reach in Afghanistan eastern zone. In 2018, the IS fighters carried out large-scale attacks across the country, including Kabul. Since the IS fighters have been targeting ethnic minority groups, it seeks to foment sectarian violence in the country. Meanwhile fueling sectarian tension was one of the main objectives of the IS group in Afghanistan. 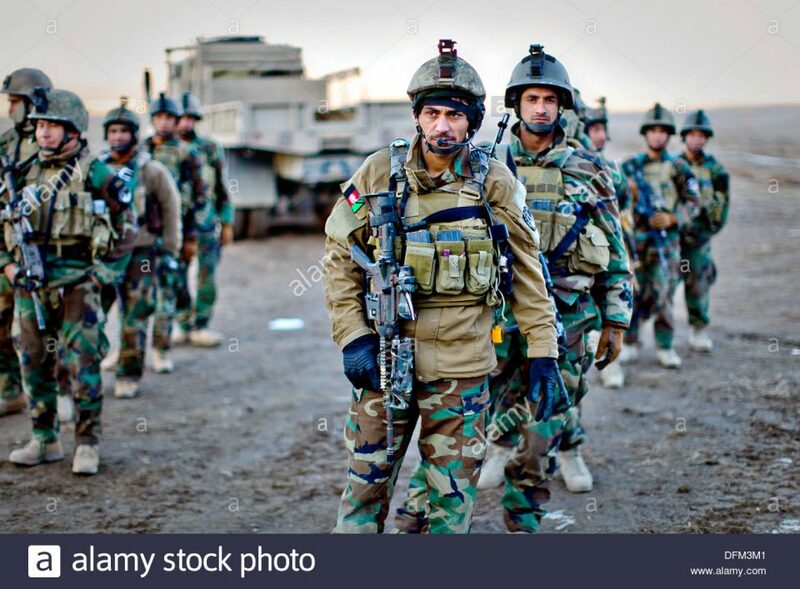 But the group has not been succeeded to its vicious goals and largely defeated by Afghan National Defense and Security Forces (ANDSF). The group has also lost many of its key commanders in Afghan and US airstrikes in eastern part of the country. Addressing a gathering in Ghanikhel district of eastern Nangarhar province, President Mohammad Ashraf Ghani congratulated the security forces on defeating Daesh in the district. This is the first time that Afghan president visited Ghanikhel district of Nangarhar. The president said people could openly commute in Ghanikhel district and Shinwari region of Nangarhar. He promised to reconstruct homes of Shinwari people which were destroyed during the conflict and said public uprising groups would be supported in the region by the spy agency. Despite of intensified operations against IS militants, the group could carry out suicide attacks on religious and cultural centers in the capital Kabul and other provinces in the last two years. The mysterious abductions were also carried out by the militants operating under the black flag of IS and aimed to spark discriminations on the basis of race, religion, creed, etc. among the nation. The world will have to eradicate ISIS in Iraq and Syria and let not it extend its realm of power in other countries and blackmail the world. In nutshell, the radicalization and toxin it spews forth should be rooted out as soon as possible so as not to poison larger number of people. Assuming full responsibility for national security in 2014, the Afghan forces had displayed commitment to the nation and the constitution through immense sacrifice and earned unprecedented public support and trust. Besides fighting Taliban and other international terrorists, the country’s security forces also carried our large-scale operations against Daesh in eastern Nangarhar province and prevented the group to establishits safe havens inside Afghanistan. Indeed, increasing presence of the IS militants would have further deteriorated the security uncertainty in Afghanistan and the situation would further get chaotic. The country’s brave security forces’ operations have changed the situation on the ground and signaled Taliban militants too that would be isolated if not joined peace process. Afghan forces fight against Daesh is commendable and considering their eye-catching achievements in war against the militants and to campaign against them in effective way,government and the allies should intensify their attacks – not only defensive but also offensive ones. Furthermore, the government has to tighten the border security in close coordination with neighboring countries so that militants no more be able to cross the country’s porous borders and threaten the life of innocent masses in Afghanistan.